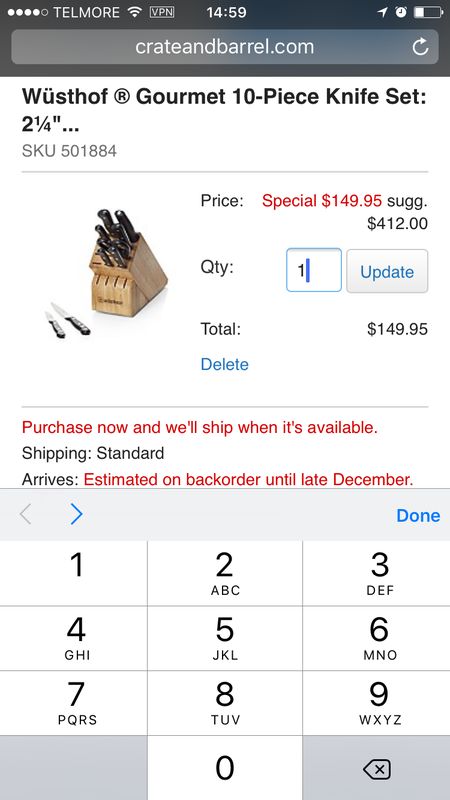 During our recent usability study of mobile commerce sites we observed several usability issues on sites that did not fully optimize their form fields for touch keyboards. We therefore decided to provide web designers and developers with the following “Cheat Sheet”, showing how to set the appropriate type and when and how to use autocorrect, autocapitalize, pattern, novalidate and autocomplete attributes. You can demo the fields yourself by visiting this page on a touch device. If you want the detailed usability test observations we’ve published them in this article. Making these changes will greatly improve the form filling experience for your mobile and tablet users, and they couldn’t be easier to implement. Disable auto-correct and disable auto-capitalization. Invoke special @ keyboard. Is auto-correct disabled for 'Address Line'? 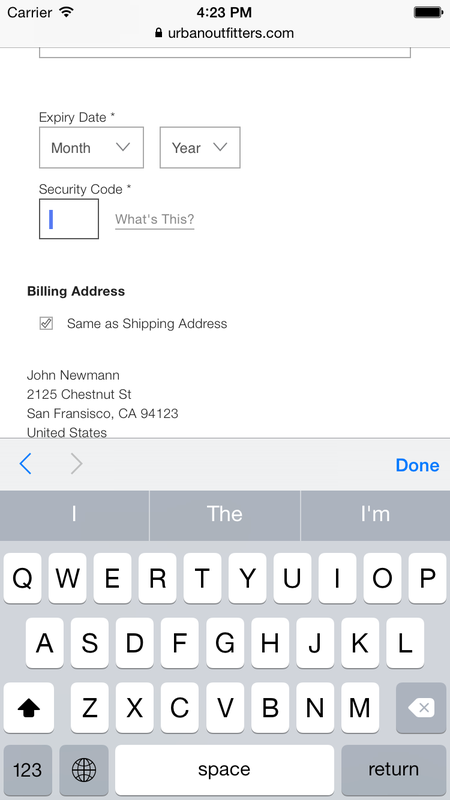 Does email field have email keyboard, phone keyboard, and card numeric field? Tab through form: is sequence right, is data persisted? Is auto-capticalization disabled on the email field? 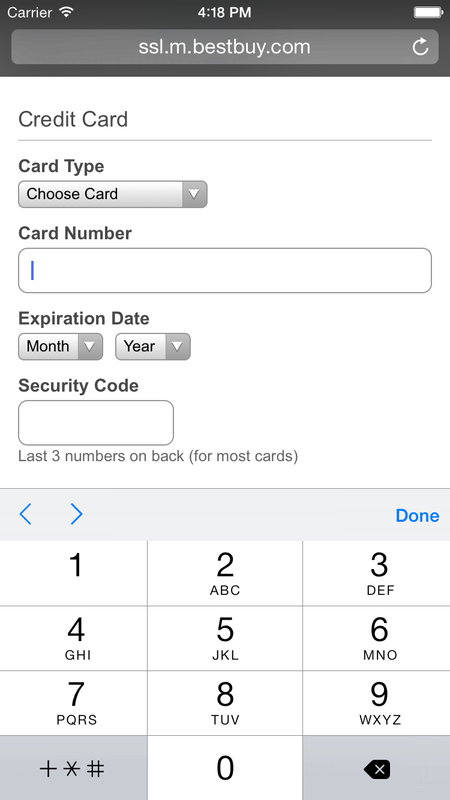 Are both phone, credit card number, date and CVV code numeric? 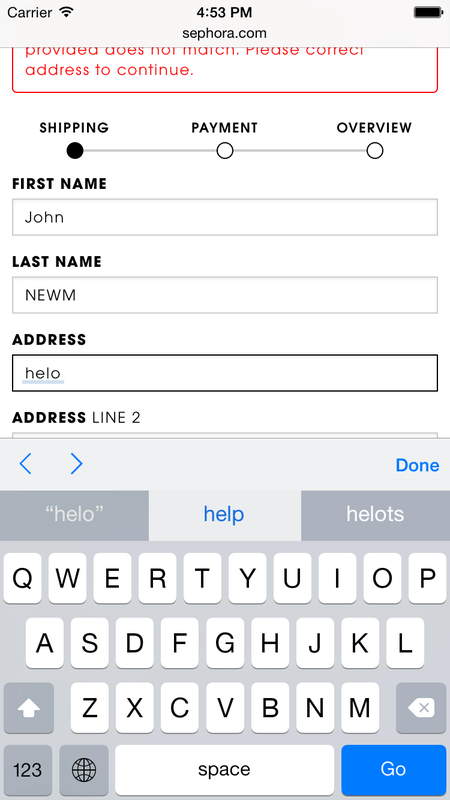 At Sephora, ‘Helo’ is auto-(in)corrected to ‘Help’ because they haven’t disabled auto-correction. At Amazon, the phone keyboard isn’t invoked, presenting a bunch of alphanumeric characters instead (same for ZIP). At Newegg, the e-mail keyboard isn’t invoked for the e-mail address field. 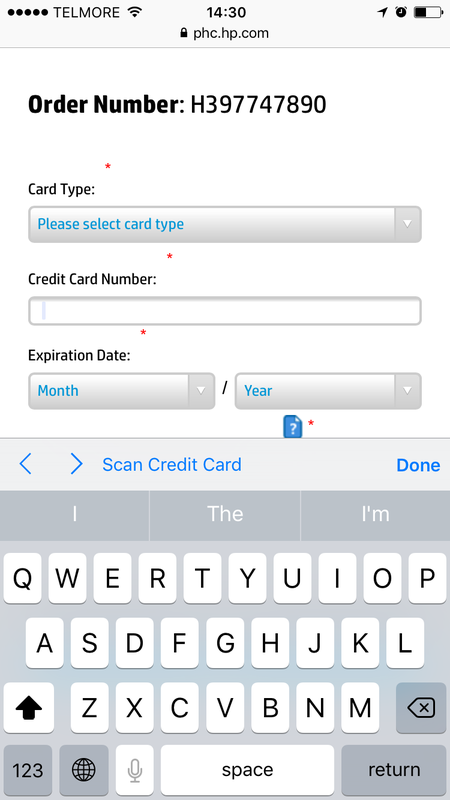 At HP, the credit card field doesn’t invoke a numeric keyboard, increasing the likelihood of typing errors. Urban Outfitters 2 of 2: … yet the (already difficult to understand) ‘Security Code’ field invokes the normal alphanumeric keyboard. 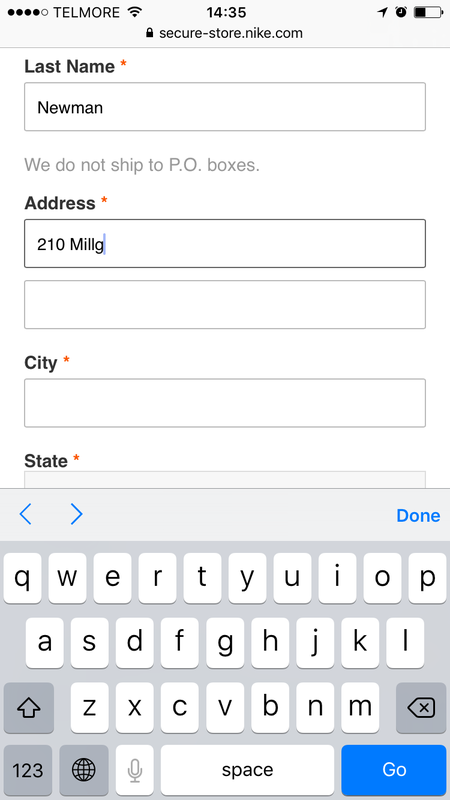 With auto-correction disabled, Nike allows the user to enter their address without ‘dictionary intervention’. 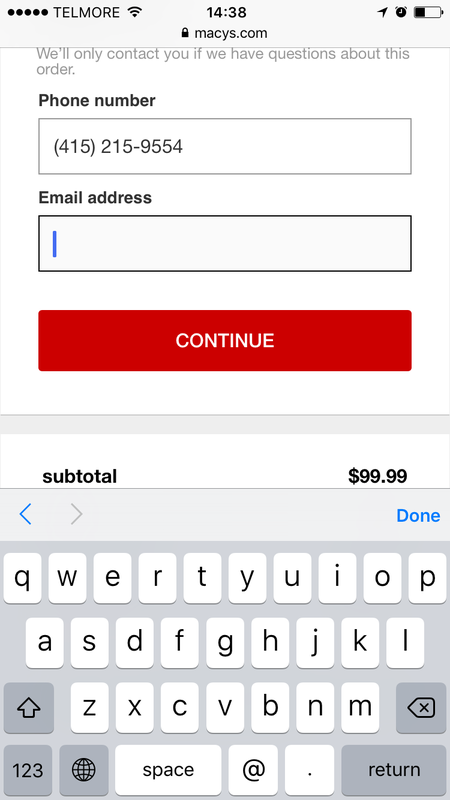 Macy’s makes it easier to quickly fill in your e-mail by invoking the e-mail keyboard layout with ‘@’ and ‘.’ keys. 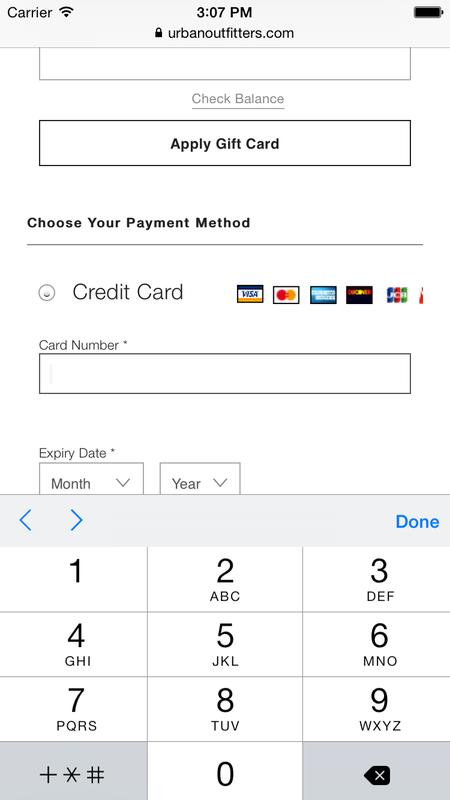 By invoking a numeric keyboard for the credit card field, Best Buy makes the 16-digit entry a breeze with large numeric keys. 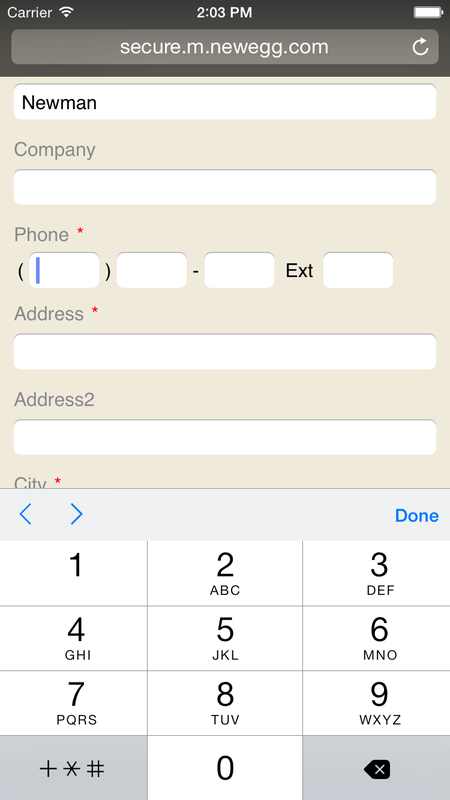 Newegg correctly invokes the phone keyboard for the phone fields (however, they shouldn’t split the field). 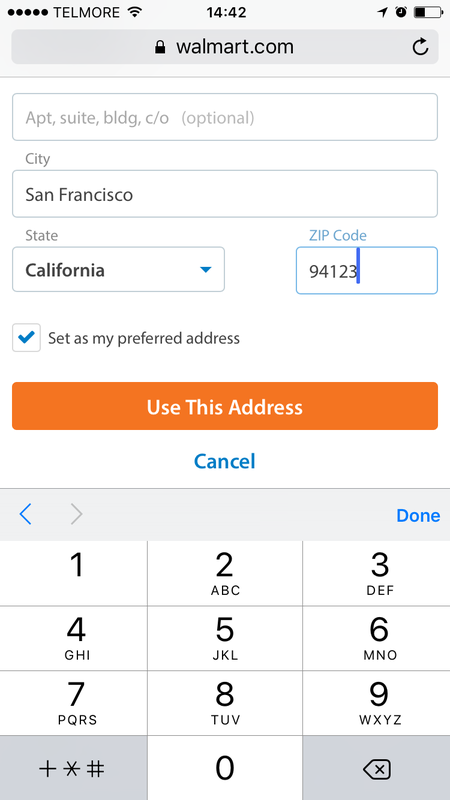 Walmart invokes a numeric keyboard for the ZIP code field, indicating that a state prefix shouldn’t be included. 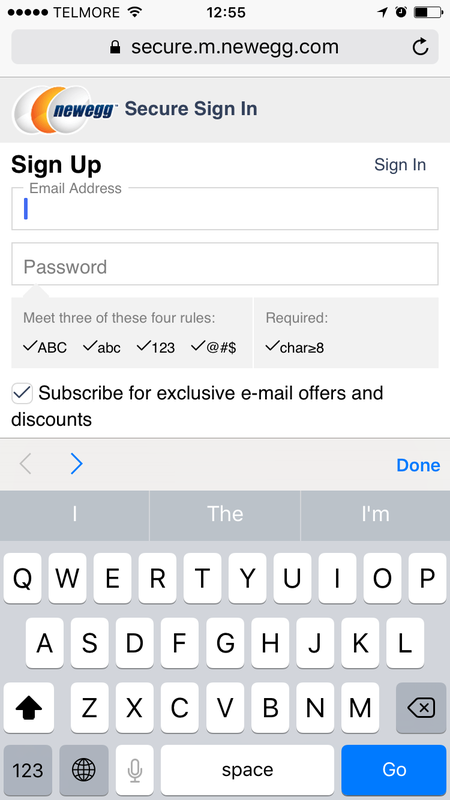 By invoking a numeric keyboard for the ‘Quantity’ field, Crate & Barrel increases the size of each key by 500%.